Q: I have used the mitten for 3 times now. The first 2 times I hardly saw any dirt coming out but then the 3rd time the dirt was coming out just like the one in Baiden Mitten website. I am very happy with this mitten. The question i wish to ask you is can i use both side of the mitten and can i use the normal powder detergent that we use for washing clothes on the baiden to wash it? 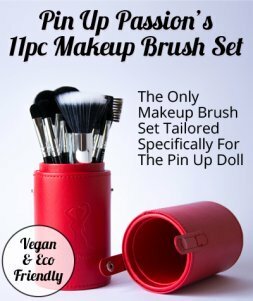 Yes you can use both sides of the mitten and yep, you can use normal powder to wash it. I actually just rinse mine with water. My Baiden Mitten is 8 months old - still going strong. I just wash out my Baiden Mitten in water with a splash of body wash and then rinse it in clean water. I even sometimes add body wash onto the mitten and scrub with it. It works really well like that too. I use the mitten about 2-3 times a week and it still works really good. I just love it. Don't wash Baiden Mitten in the washing machine. I actually did that and the fibres softened really quickly and they did not work well any more. 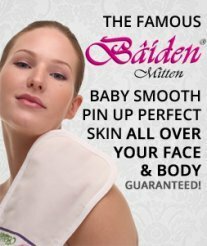 I got another Baiden Mitten and now I just rinse it in water or water with a bit of dish washing soap. It removes all the oil from the mitten and then it is as good as new. Of course I make sure that I rinse it really well after I wash it in dish washing soap.